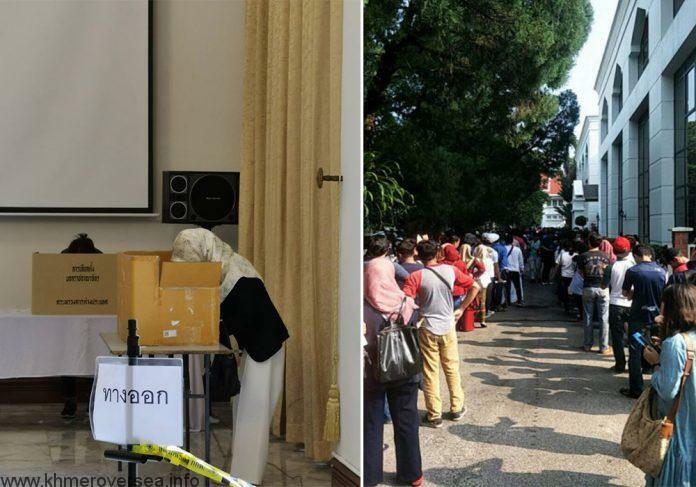 A total of 2,752,119 Thai voters have registered to cast ballots either in advance, outside their constituencies or overseas from January 28 to February 19 for the March 24 general election. Of the number, 2,632,935 are those who want to exercise their ballots outside their constituencies. The ministry reported that 119,184 Thais living overseas in 67 countries have registered to vote with 94 Thai diplomatic missions. In the 2011 general election, 146,133 Thai expats registered to vote overseas and 76,615 or 52.43 per cent cast their ballots. Of the number, Thais in the United States were the largest group of overseas voters, according to the Election Commission. Thais overseas begin voting Monday in the country’s first general electionsince a military coup in 2014. About 120,000 voters in 67 countries have registered to cast ballots in advance, according to the Election Commission. The biggest proportion, nearly 14 percent, is in Australia, followed by the U.S. with almost 13 percent and China on a little over 9 percent. Divisions between establishment royalists and backers of exiled former Prime Minister Thaksin Shinawatra are flaring again in Southeast Asia’s second-largest economy ahead of polling day on March 24. A ruling is due Thursday from the Constitutional Court on whether to disband a party linked to Thaksin over a failed bid to nominate a princess as its prime ministerial candidate. If the party, Thai Raksa Chart, is broken up, the overseas votes it receives could be void. Thaksin or his allies have won every election since 2001, only to be unseated by the courts or the military. 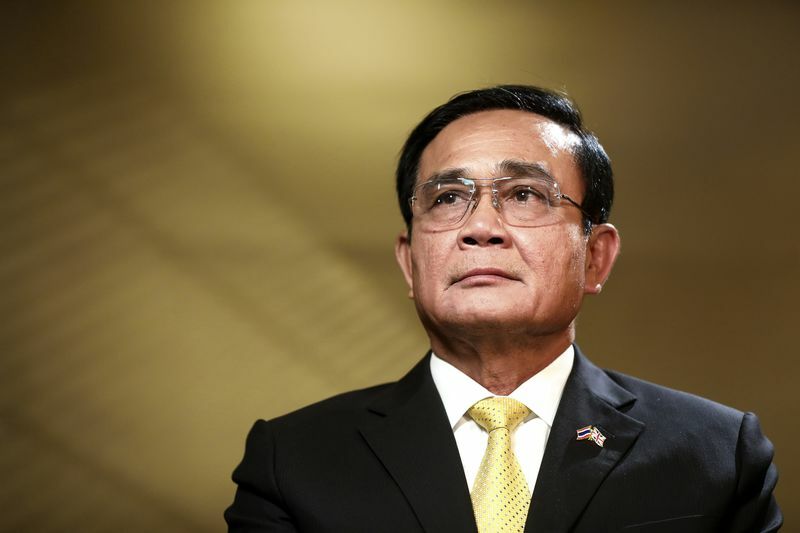 The current stretch of military rule under junta leader Prayuth Chan-Ocha, who is seeking to return as premier after the poll, is one of the longest in Thailand’s modern history. Overseas voting runs until March 16 and advanced ballots will be cast in Thailand from the following day. More than 2.6 million people have registered to vote in advance. Provisional results are expected on the night of March 24, but the final certification could take weeks under the military-backed constitution.